Martha Ann “Marty” (McDonald) Pumel, 88, Logansport, died at 11:50 a.m. Monday, July 23, 2018, at her home surrounded by her family. Born Dec. 22, 1929, in Logansport, she was the daughter of Harry and Beulah McDonald. She was married June 29, 1952, in Logansport, to Marvin L Pumel who preceded in death. Martha retired from Logansport Community Schools as a secretary at Columbia Elementary School. She was a 1948 graduate of Logansport High School and attended Pasadena Junior College in California. Marty was known as one of the best cheerleaders that ever graced the floor of the Berry Bowl. A 1950 issue of the Pharos Tribune captured her spirit when she returned from college “The Berry rooting section sent up its regular chant, “We Want Marty” again Friday night and Marty McDonald, a cheerleader two years ago, obliged with another first-rate performance. During her first appearance last Wednesday, she went into action wearing a satin dress, but had to kick off her high-heeled shoes.” Marty spent her life being everyone’s cheerleader. 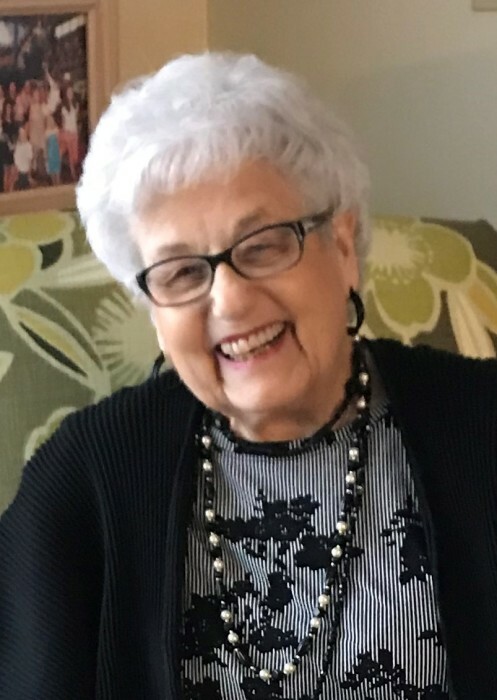 She was a member of Beta Sigma Phi Sorority, Logansport Elkettes #66, the LHS Class of ’48, Wheatland Ave. United Methodist Church, Niddee Shrine Guild, VFW Ladies Auxiliary and the Italian American Club. Marty was incredibly devoted to her children, grandchildren and great-grandchildren. She loved attending their events, shows and games and was their biggest cheerleader. She also adored dancing with Marv to the sounds of the 40’s. Marty treasured her friends and community. She made everyone feel like they were the most special person in the world, and to her, they were. Surviving are her son, Mark L. Pumel and wife Amy, Kokomo; daughters, Marla Pumel-Stacy, Logansport; and Marsha Hansen and husband Dave, Tustin, Calif.; grandchildren, Brittney Maxey and husband TJ, Lithia, Florida; Kelsey Pumel, Indianapolis; Brandon Pumel, Elkhart; Marissa Stacy, Logansport; and Hailey, Logan, Keely and Kiley Hansen, all of Tustin, Calif.; great-grandchildren, Brooklyn and Braylon Maxey, Lithia, Florida; Kingston Pumel, Elkhart; Kobe Pumel-Williams, Indianapolis. Visitation will be from 4 p.m. to 7 p.m. on Friday, July 27, 2018 in the Gundrum Funeral Home. A Celebration of life will be held at 1:30 p.m. on Saturday, July 28, 2018 in the Gundrum Funeral Home with Pastor Carolyn DeWitt officiating. Burial will follow in the Mount Hope Cemetery. In lieu of flowers, donations may be made to Camp del Corazon (www.campdelcorazon.com/donate), a nonprofit camp for kids with heart disease on Catalina Island, California where special heart kids can get dirty and have fun...just like Marty would like. Sign the guestbook and send online condolences at www.gundrumcares.com.